A weird phenomenon is happening high above the Tibetan Plateau and the Himalayas that could prove to be an atmospheric nightmare. Pollutants that gather from India and China in the lowlands around the mountains can be boosted as high as 18 kilometers, reaching the stratosphere—the atmospheric layer directly above the troposphere that contains most of Earth’s ozone. That is far higher than aerosols from vehicles, power plants and fires usually reach. Once aerosols are that high they can spread globally, destroy the ozone layer that protects us from ultraviolet radiation and exacerbate global warming, researchers warn. Until a few years ago “we thought human activities had little impact on the stratosphere,” says Jean-Paul Vernier, a remote-sensing expert at the NASA Langley Research Center. Scientists had previously thought only volcanoes could eject aerosols—tiny particles or droplets—to such heights. And most models looking at future climate change scenarios did not account for aerosols in the stratosphere. Special tests reported in September confirm the aerosols continue to collect over India, and the work reveals fresh insights into their composition. The presence of aerosols was a big surprise when Vernier and his colleagues discovered them in 2009. Sieving through the data from CALIPSO—a satellite jointly launched by France and the U.S.—they found a thick layer of aerosols between 13 and 18 kilometers above sea level over a large area stretching across the eastern Mediterranean Sea, northern India and western China. The layer is most prominent in the summer and is unrelated to volcanic eruption, Vernier surmised then. He called it the Asian tropopause aerosol layer (ATAL) because it lies within the tropopause, a transitional zone spanning the upper troposphere and lower stratosphere. Last year the team reported in the Journal of Geophysical Research that the amount of aerosols in ATAL had tripled since 1996, the earliest time when they appeared in satellite observations. The finding was provocative but there had been “lots of debates about whether it is genuine or merely an observational artifact,” says William Lau, an atmospheric scientist at the University of Maryland, College Park, who was not involved in the study. The best way to prove ATAL existed, Vernier says, was to fly aircraft through the tropopause over Asia, which would allow researchers to sample particles over a large area. Neither NASA nor the European Space Agency got permission from any of the Asian countries involved to conduct such field campaigns, however. Vernier’s group resorted to the second-best option. 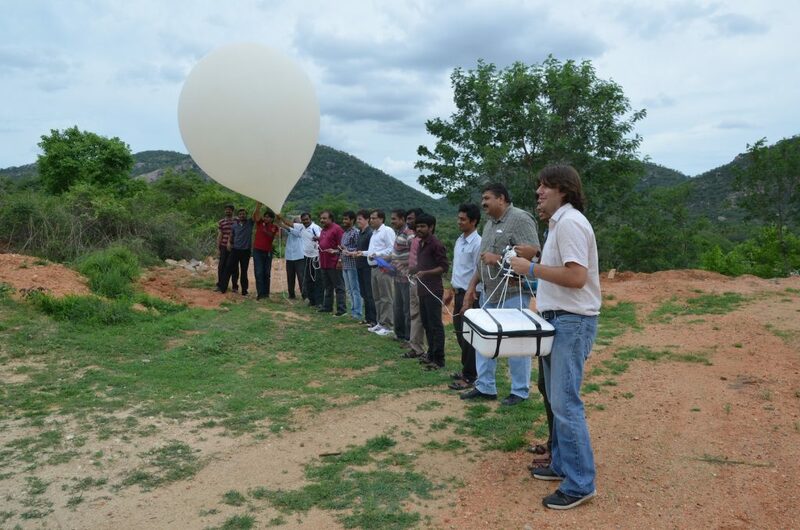 Collaborating with Indian scientists, in 2014 they launched weather balloons into the tropopause from three locations across India. They repeated the experiments in 2015 and 2016. In September 2016 the team, while at an International Global Atmospheric Chemistry project meeting in Colorado, reported that the sensors onboard the balloons not only confirmed the existence of tropopause aerosols over India, but yielded fresh data into their composition. For instance, the researchers found that 90 percent of the pollutants were tiny liquid droplets less than 0.2 micron in diameter. In the August 2016 campaign, conducted over the holy and notoriously polluted city of Veranasi, the team included a sampler in the payload that trapped tropopause aerosols on filters. Preliminary analyses show that most of the pollution was sulphate aerosols—along with dust and carbonaceous particles such as black carbon. As Vernier’s team was capturing pollutants, Lau and his colleagues tracked down the sources by feeding years of satellite measurements of pollution and meteorological conditions—taken as frequent as every few hours—into a new computer program developed by NASA called MERRA2. The team reconstructed the atmospheric processes and showed where ATAL aerosols came from and how they reached such heights. As Lau explained to an audience at the International Workshop on Land Surface Multi-sphere Processes of the Tibetan Plateau and Their Environmental and Climate Effects Assessment—held in August in China—there are two pollutant transportation pathways into the tropopause, one from India and the other from central and eastern China. This pumping phenomenon is unique globally, Lau says, largely due to the Tibetan Plateau’s uncommon topography. It has an area of 2.5 million square kilometers (about a quarter of the U.S. landmass) and an average elevation of over 4,500 meters. Because the vast plateau at such altitudes absorbs a huge amount of solar radiation, the atmospheric layer above it in summer is much warmer than air at similar elevations over lower land or the oceans. This temperature differential, the engine of Asian monsoons, creates winds that blow from the Indian and Pacific oceans into Tibet, which drag with them the pollutants piled up in the foothills. Due to the plateau’s intense heating effects in the summer, the overlaying warm air can rise much higher into the atmosphere than over adjacent lowlands. There, the pollutants can easily spill over into the adjacent stratosphere, Lau says. “And at the end of the summer, the ‘lid’ comes back down, which leaves aerosols in the stratosphere,” he explains. 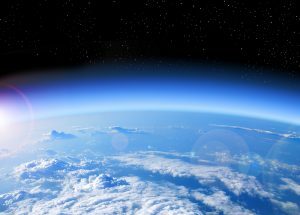 The strong, horizontal wind that is a prominent feature in the stratosphere could then spread the pollutants around the world. The observations “for the first time draw a direct link between surface pollutants in Asia and aerosols in the tropopause,” says Kenichi Ueno, a climate scientist at the University of Tsukuba in Japan, who is not involved in the study. And the timing makes sense, he says, because industrialization in China and India since the 1990s is in line with ATAL’s first appearance in 1996 and its thickening since then. Ueno says that once aerosols are in the stratosphere they become very stable and can last for years, compared with days or weeks in the troposphere, and they can activate compounds such as chlorine that destroy the ozone layer. Aerosols in the tropopause also complicate climate projections; they are not taken into account in the latest assessment released in 2013 by the Intergovernmental Panel on Climate Change, says Yu Gu, a climate scientist at the University of California, Los Angeles. This article is reproduced with permission from Scientific American. It was first published on Oct. 28, 2016. Find the original story here.